Consulting ServicesFor Funders & SupportersNeed funding? How Can Businesses Grow Successfully? Although banks are still dominating the business funding landscape, small and medium-sized businesses are increasingly using alternative finance options, according to the British Business Bank. Supporting businesses in finding the right funding for their needs will ultimately help them, as well as the UK overall, to develop and prosper. Hence, although being rejected by their bank for a loan, many businesses don’t feel knowledgeable enough to source funding with the help of an alternative provider. So what can lenders, local and regional governments as well as industry associations do to support businesses in their funding journey? Businesses sometimes struggle to find objective information about the alternative finance landscape. Although most comparison websites and lenders offer a lot of detail online, it can be challenging to filter out the most relevant information and understand pricing policies. That said, many lenders are constantly incorporating feedback from small and medium-sized businesses into their offering in order to increase ease of use and narrow the education gap. The UK government, as well as independent regulatory and industry bodies, have also undertaken several efforts to improve this situation, such as producing white papers and industry guides and organising relevant events. However, more could be done to help creative businesses to access information and advice on the financing options available to them. UK businesses are going from strength to strength and many are positive about the future. Finding the right financing should not hold them back — and equipped with education, preparation and planning, they will only continue to prosper. Addressing the issue of access to finance is a challenging undertaking. Through the British Business Bank, venture capital trusts, and enterprise investment schemes, the UK government is working towards bridging the existing gap. But big issues such as business financing need to betaken on together. They require change in numerous places, and cannot be addressed with one initiative or by a single entity. Instead, collaboration is the right response. By forming strong local financing networks of private enterprises, industry associations and regional government the national government’s work will be supported, and, ultimately, local businesses strengthened. We live in an age of global connectedness. But at the same time we are gaining access to the world, the importance of our own local community grows. Here, we get first-hand support, the ability to expand our ambitions, develop and grow. This is why change must start locally. To this end Spotcap is delighted to work together with the London Chamber of Commerce, the Greater Manchester Chamber of Commerce, local growth hubs as well as local enterprise partnerships across the UK. We all share the common belief that we need vibrant business hubs as well as the infrastructure, expertise and resources to support them. It’s up to us to create environments where knowledge, research and best practices can be shared. These will open up doors to expand on current approaches to growth. To be successful in this endeavor we all need to come together and do our part. 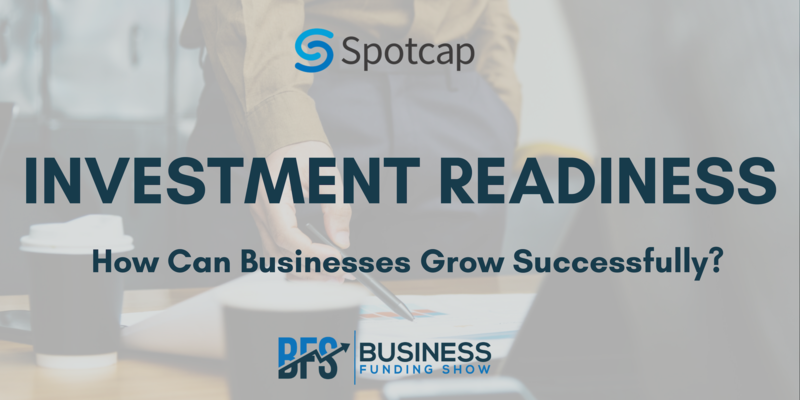 Meet Kevin Vendel of SpotcapUK at UK & EU’s only and biggest funding exhibition, the Business Funding Show ‘19 happening on 21st, Feb. Learn more and secure tickets here.